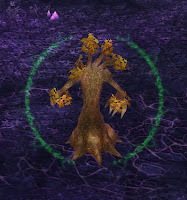 Do you have an addon that you would feel lost without? That you would feel like one of your senses was missing, like you had the sound effects turned off or something? Power Auras Classic is such an addon for me. I use it on all my toons. It feeds me essential information about all sorts of stuff. A little while ago I posted about my power auras for Moonkin. I thought I'd go through the process I used to create auras for healing. 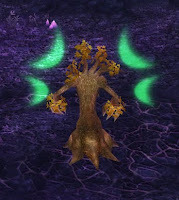 These auras are for my Resto Druid, but they could be tweaked for any class's spells. My first post about Power Auras shows some of the basic settings if you would like to make your own rather than importing mine. At the end of the post I've listed a few links to how other healers are using Power Auras, to share a few more ideas, and make sure you check out the Power Auras Wiki for loads of information and ideas for every class. Think about all the spells you use and which of them you'd like to keep track of. Debuffs in combat for specific fights? Is there a proc that could happen that means you need to fire off another spell to take advantage? Do you have a macro that is only available under certain conditions? Notification for when you're low on health and/or mana? How would you like the aura displayed? When the spell is available or unavailable (for the duration of the cooldown)? 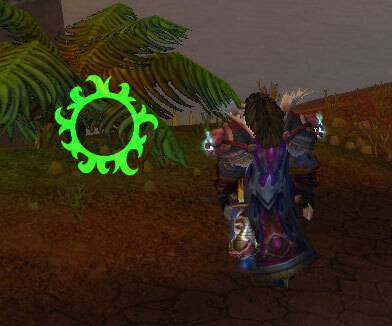 A circular aura around your toon, or an icon that shows in an easily-visible location? The location of the auras is very important because you need to be able to see them easily in a combat situation, but not have them get in your way. Make sure once you have made a few that you turn them all on to make sure none are covering others up. 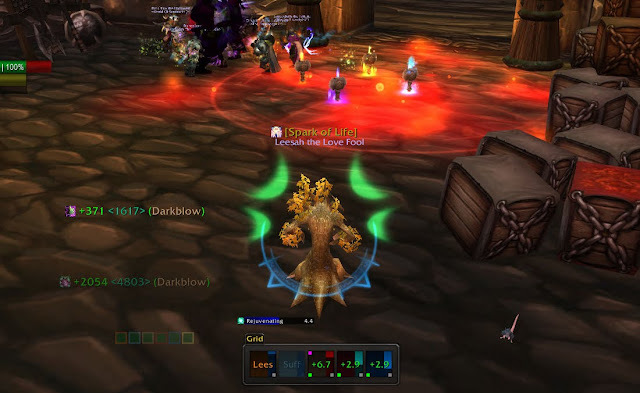 Everyone likes their notifications in different ways, but I like to show auras around my toon for when my major spells are on cooldown, so that I can tell at a glace what is available for casting. I've found colours are very important to me. I will easily forget what an indicator is for, unless it is coloured the same as the spell. 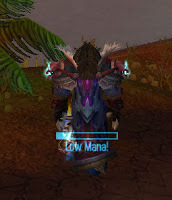 For example, I made my Swiftmend aura blue like the spell icon, to help me recognise that Swiftmend is on cooldown, even though I don't even have Swiftmend on my bars anywhere. Don't ask me why that works, but it does. So, here are the auras that I am currently using. You can import them directly into PowA by opening the menu with /powa, then clicking "Import" and copying and pasting the import string. The icon shows when I do not have Mark of the Wild or Blessing of Kings on me. 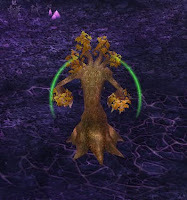 Shows after I cast Wild Growth, and disappears when the 6 sec cooldown finishes. Shows while Swiftmend is on cooldown. Shows while Nature's Swiftness is on cooldown. I use Nature's Swiftness as part of a couple of macros. You can read about them in my Macros page. 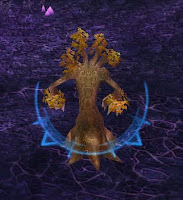 This aura is shared with Balance spec, and shows when Nature's Grace procs. It helps me catch up with the rhythm of faster cast times. Also shared with Balance spec, this aura shows Clearcasting procs so that I can decide to cast Regrowth or a mana-expensive heal. Shows when mana is below 50%. 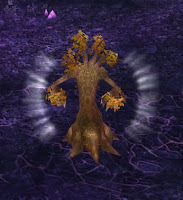 The Restoration Mastery, Harmony, requires a direct healing spell to be cast every ten seconds. 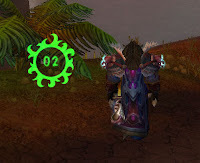 This combination of two auras shows a rotating circle if the buff is not present, then a countdown while the buff is present. The circle will only show while in combat. 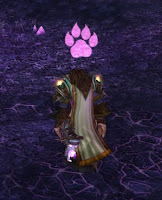 I totally stole these two auras from Beruthiel, and made them bigger. Thanks Beru! Fireworks are in the Air?